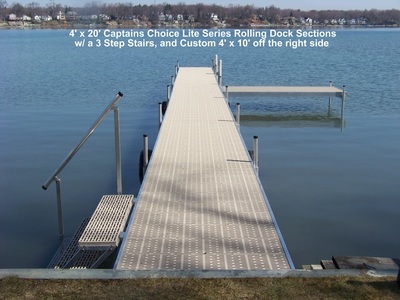 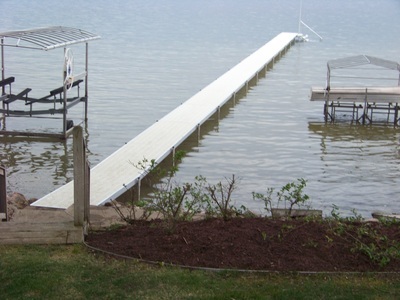 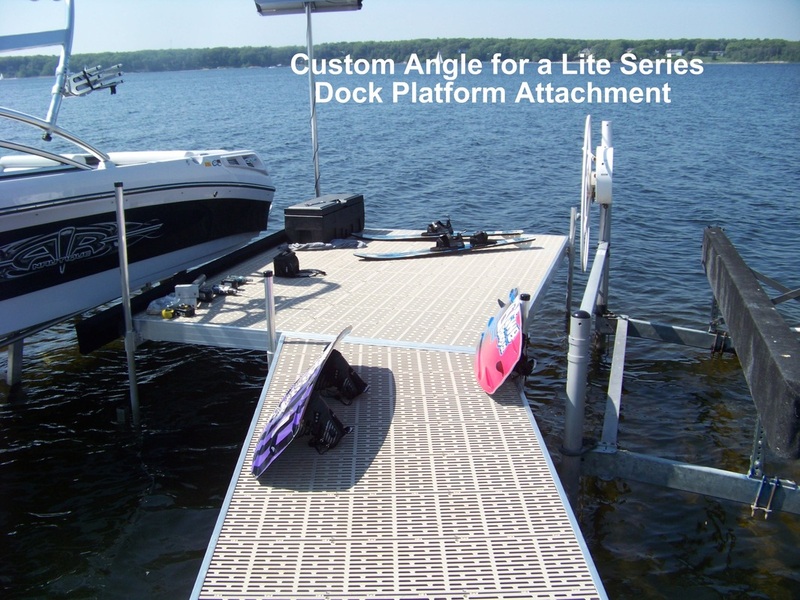 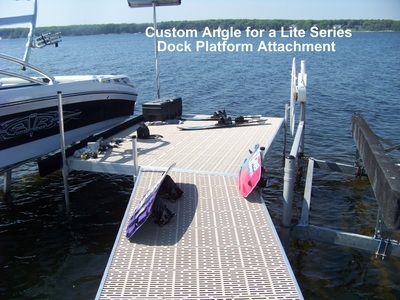 The Lite Series Dock Sections come standard with Premium Sure Step® (http://www.jimdiinc.com/sure-step-walkways/) decking in three color choices. 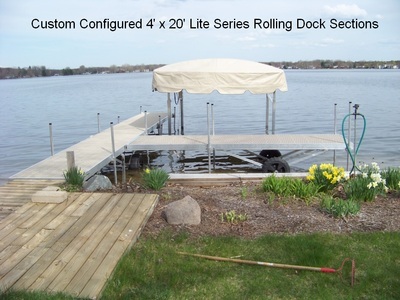 The color options are khaki, white, tan, and gray. 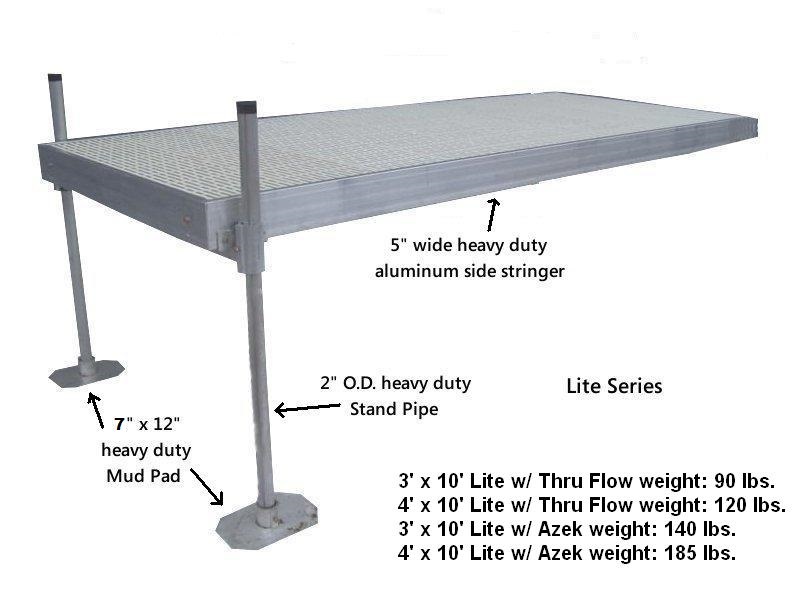 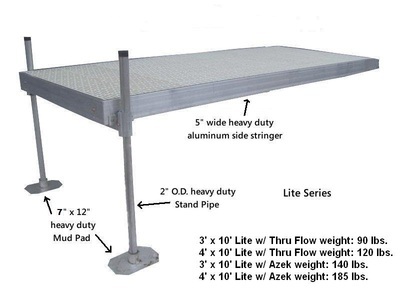 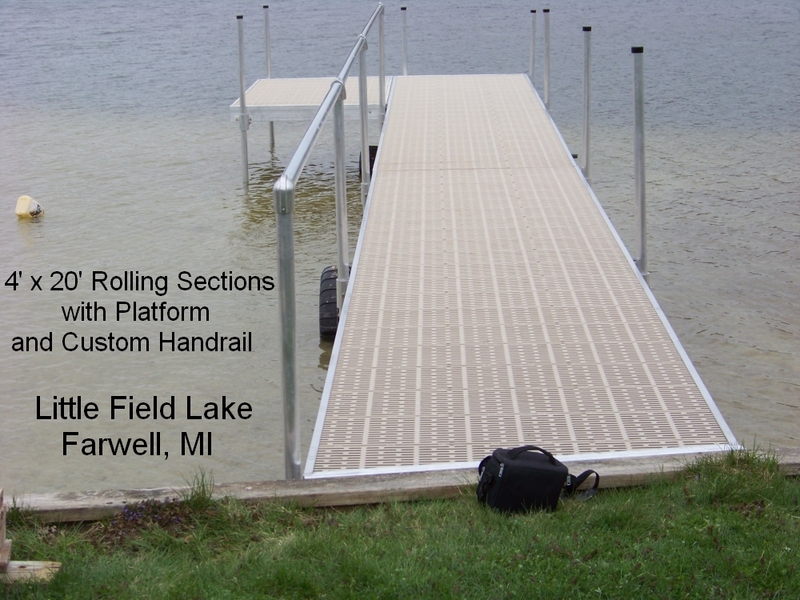 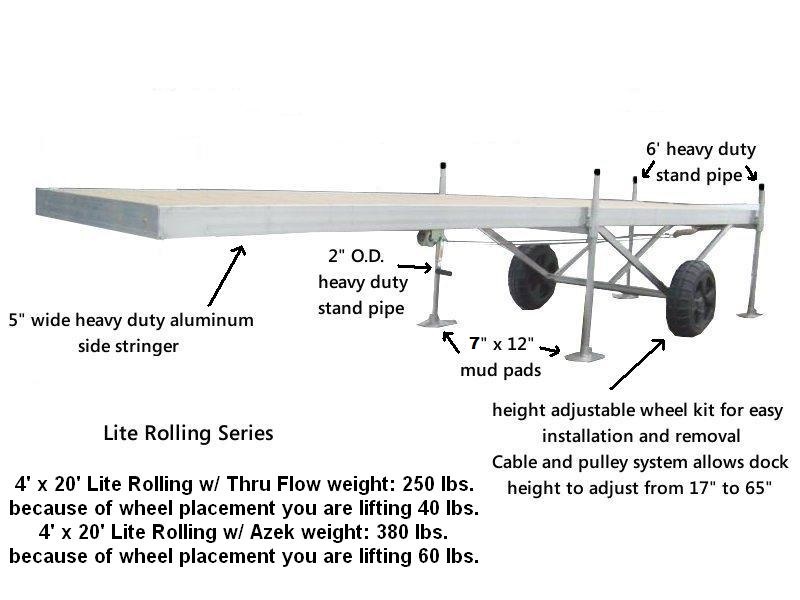 It also includes two 6' heavy duty stand pipe every 8', 10', or 12' of dock, standard quick connect, one cross arm , two mud pads , and all hardware necessary to install the dock section (two Complete Pipe Assemblies are needed for 20' or 24' dock sections). 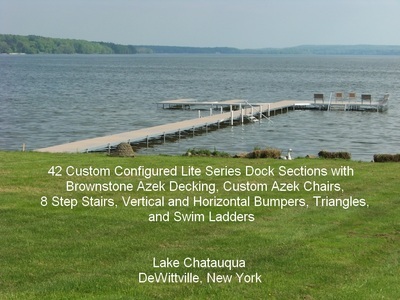 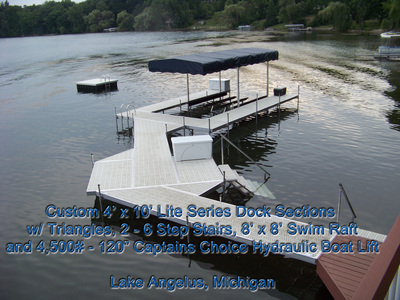 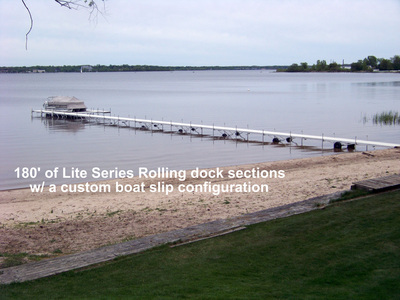 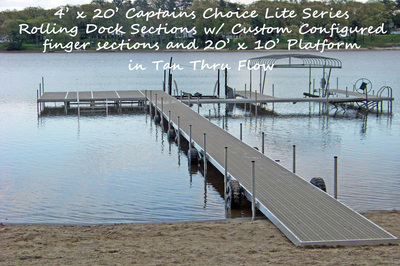 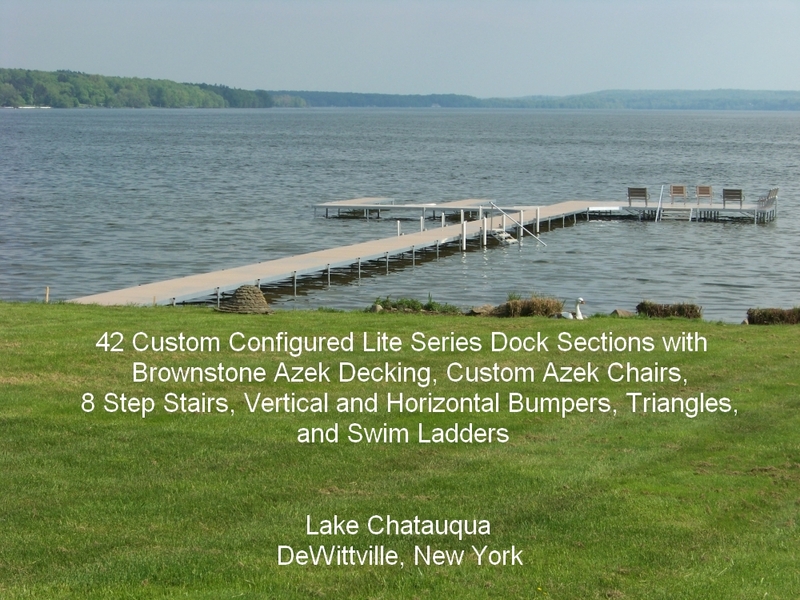 The docks can be configured in any shape with our exclusive deluxe quick connect system. 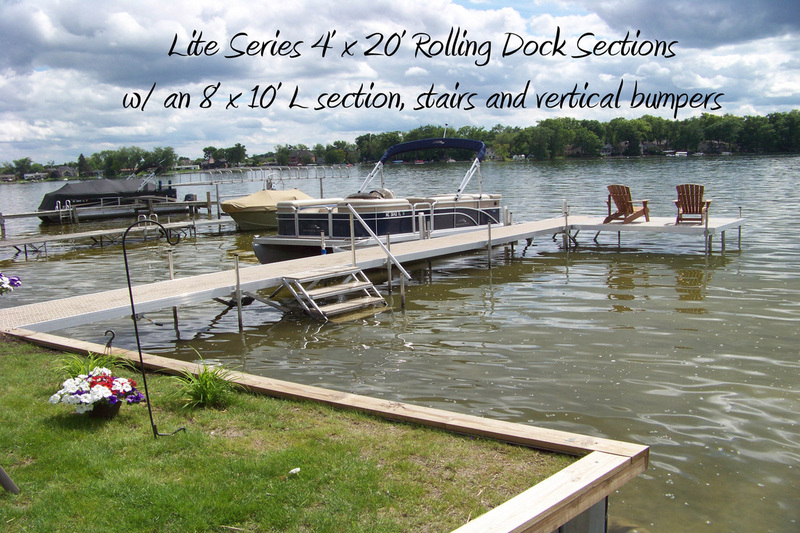 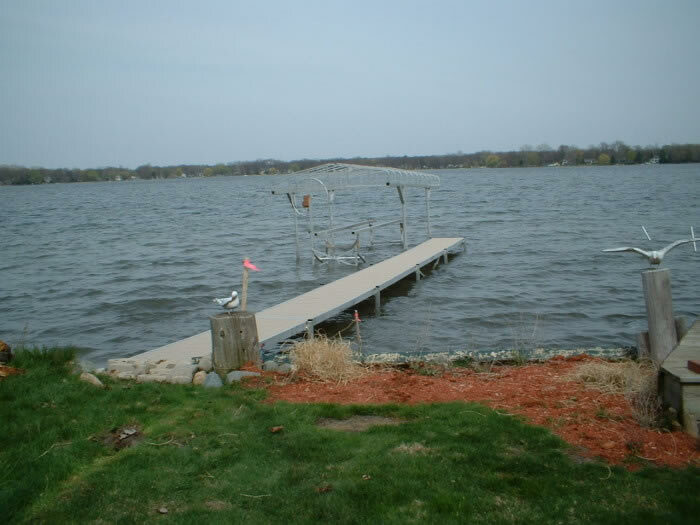 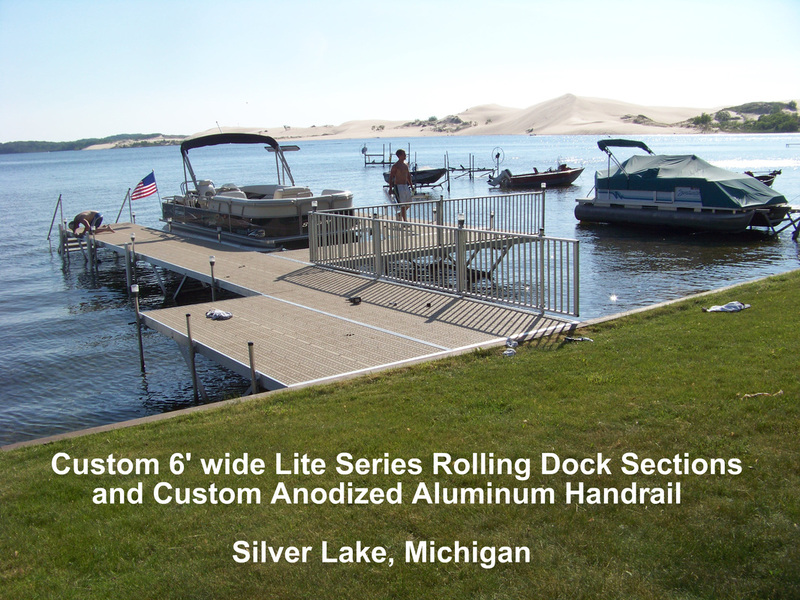 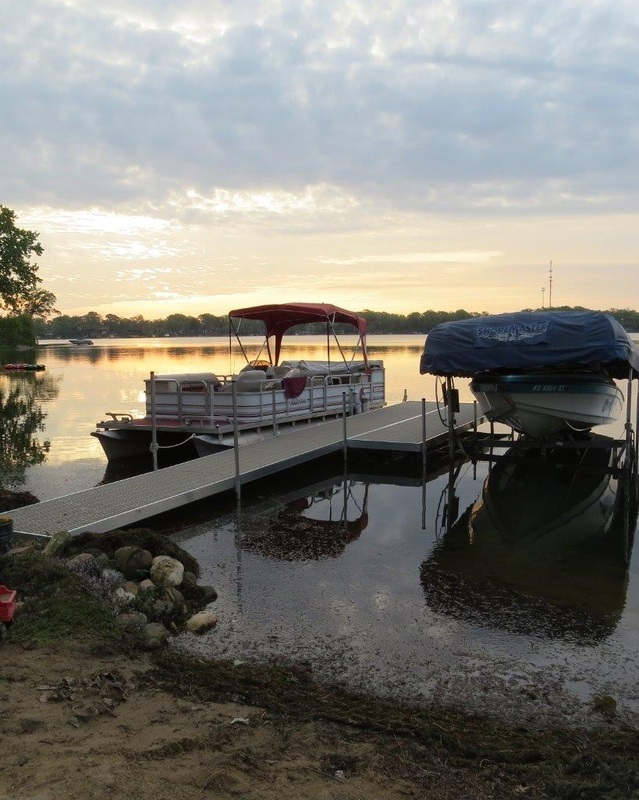 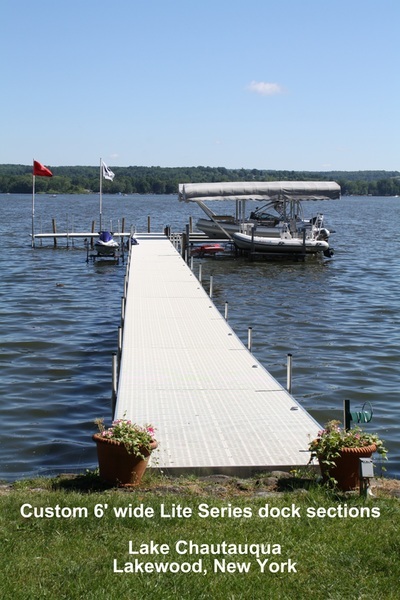 Our residential docks also work great for associations and large water projects. Our docks are manufactured with 5" Tall Side Stringers, and 1" x 2" Center Stringers. If you need custom sizes, we are happy to build to your specifications.